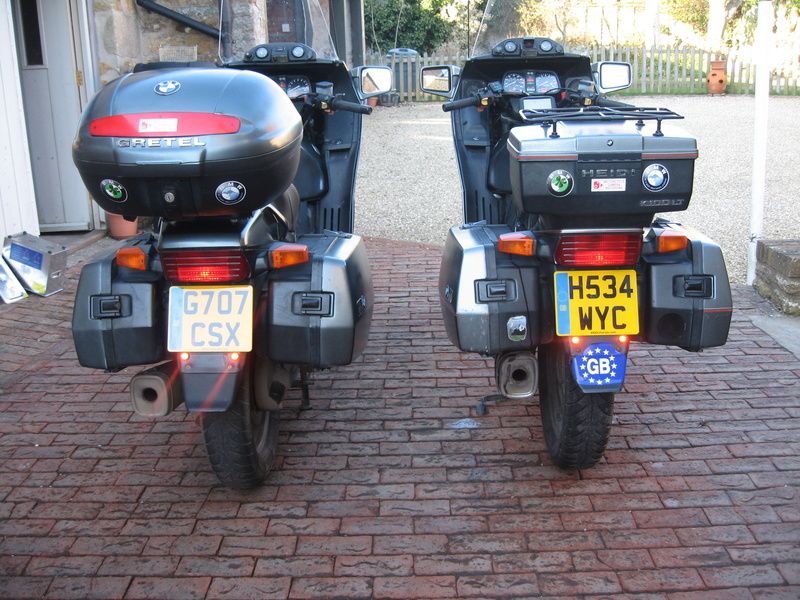 Anyway, today, I fitted the first set to Heidi (Gretel will get hers tomorrow) and am very pleased with the results. 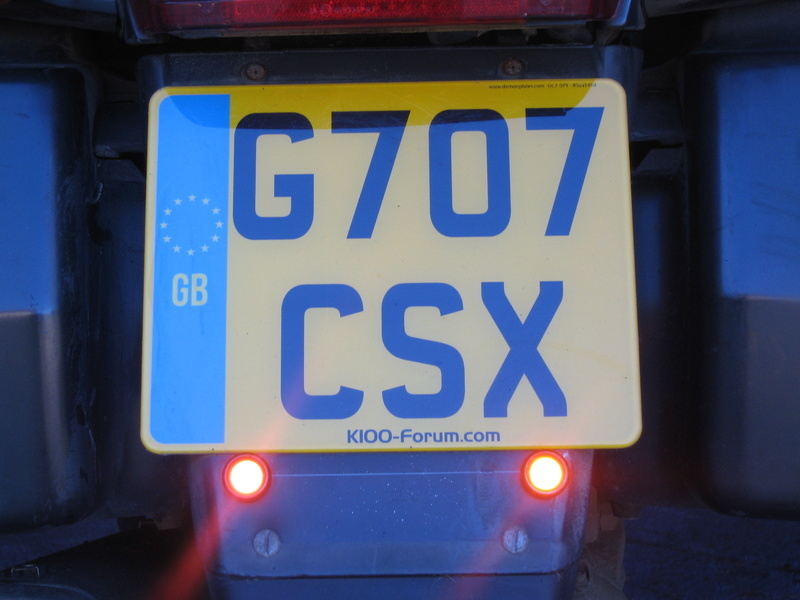 I mounted my lights at the top of the rear fender/mudflap (drilled 10.2mm holes just below the registration plate) and, running a wire up along the left hand frame (black tie wraps of course) connected them via an ignition switched power supply to a switch (also from Amazon - China) mounted as high as possible on the right side of the handle bars. 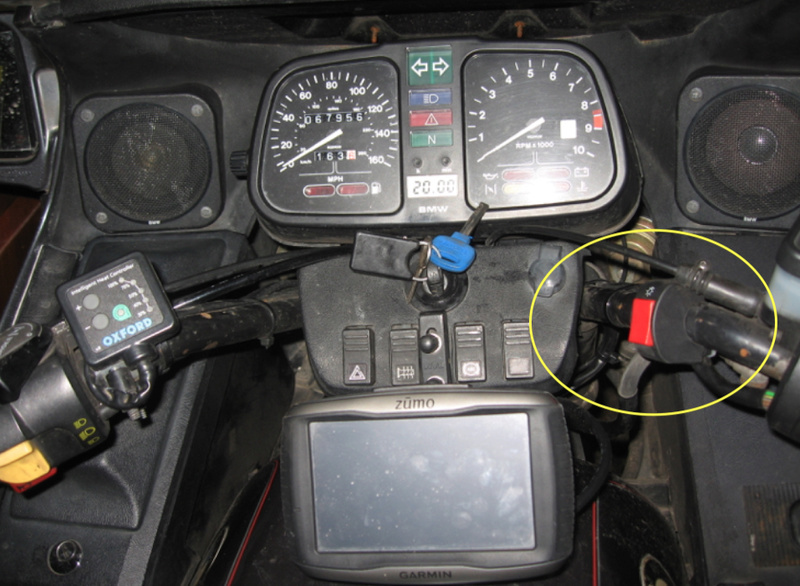 I went for an ignition switched power supply to protect my battery from fiddling fingers while the bike is parked up) - I also fitted an in-line fuse (just in case). 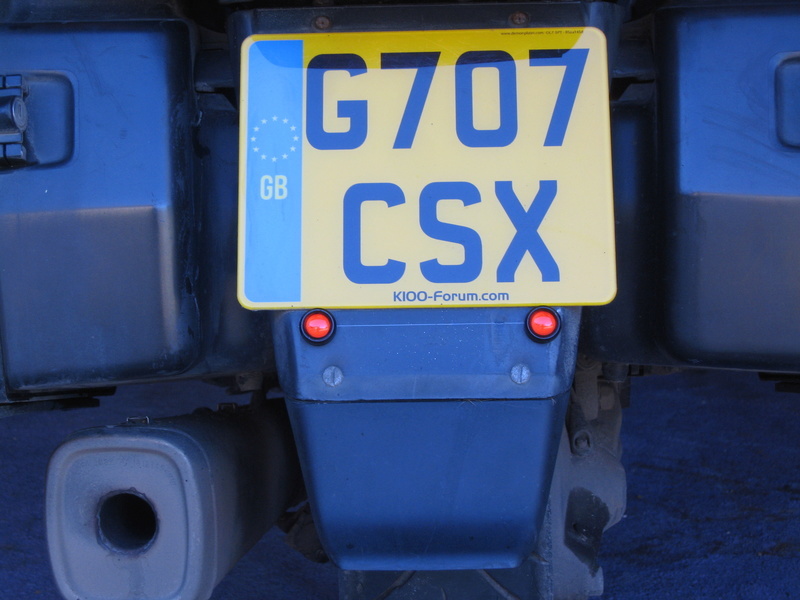 I didn't go for the flashing option as per Ducks post, but now have a manually switchable, high intensity, rear fog light which definitely will make by back end more visible during those seasonable fog patches. 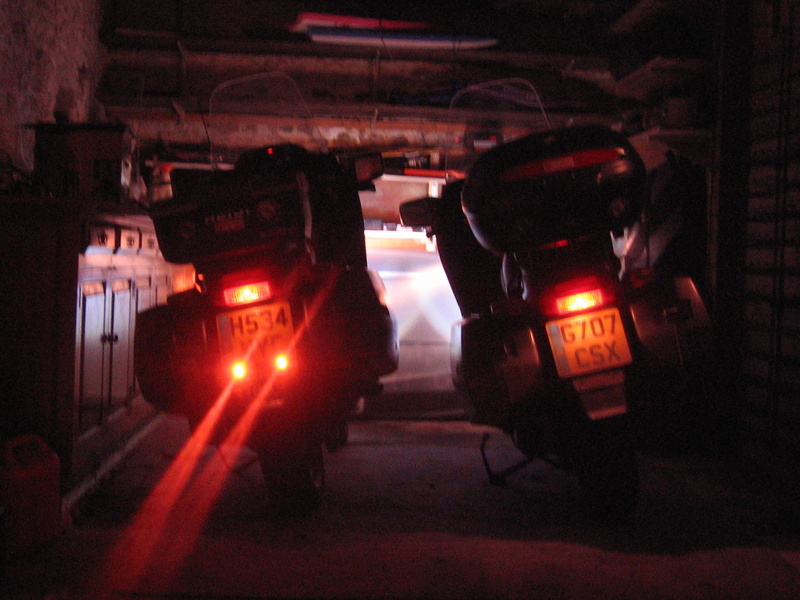 Total cost £4.74/bike (and two spare pairs of eagle eye lights as a bonus). Ideally, I would have a LED indication to warn me that the fog lights are on...but I like to think that I'm not a stoopid as the rest of the road users out there and am in control of what I'm doing. 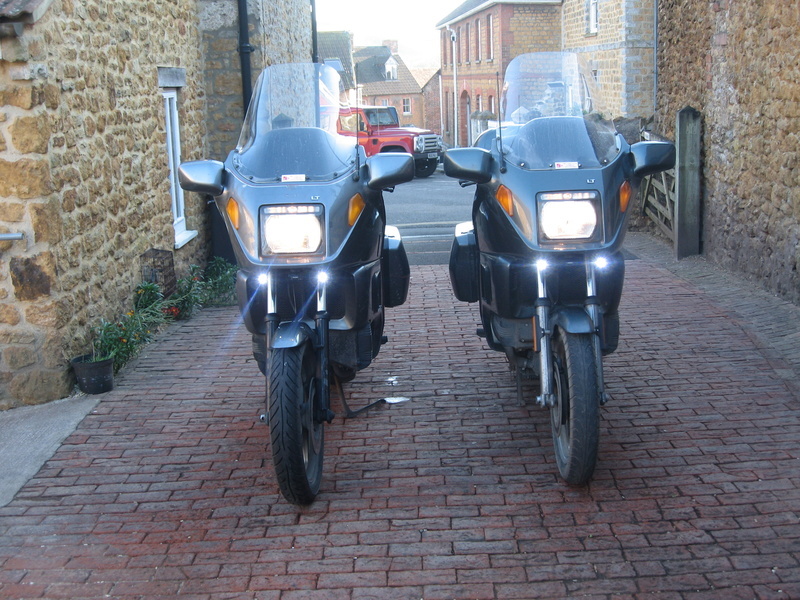 Both bikes now done...so much quicker doing the second one. Another bitterly cold day with bright sunshine and blue sky and not a hint of fog in the forecast this week!! By the way - anybody heard from Duck lately? - last post was Oct 17 and there are no details of the date of his last forum visit. Hope you're OK mate and just hunkered down for the winter. It'll soon be spring!! Great idea and well set up. We need all the protection and prevention measures we can think of to survive. 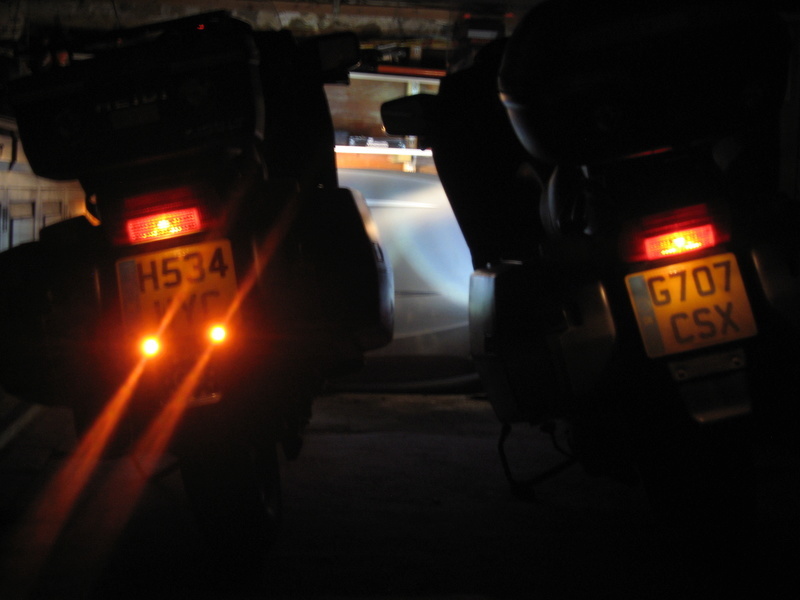 On the rare occasions we get fog around my place, you do notice vehicles with the rear red light. If you want to sell off the spares some Guinness/pudding/steaks can be arranged....!